We are working with DIT to address a technical issue related to these forms and the CAS authentication process, thank you for your patience! Currently, the forms need to be accessed via a private, or incognito window to avoid an error message. In Chrome, right click on the link to the application and choose “Open link in incognito window”. 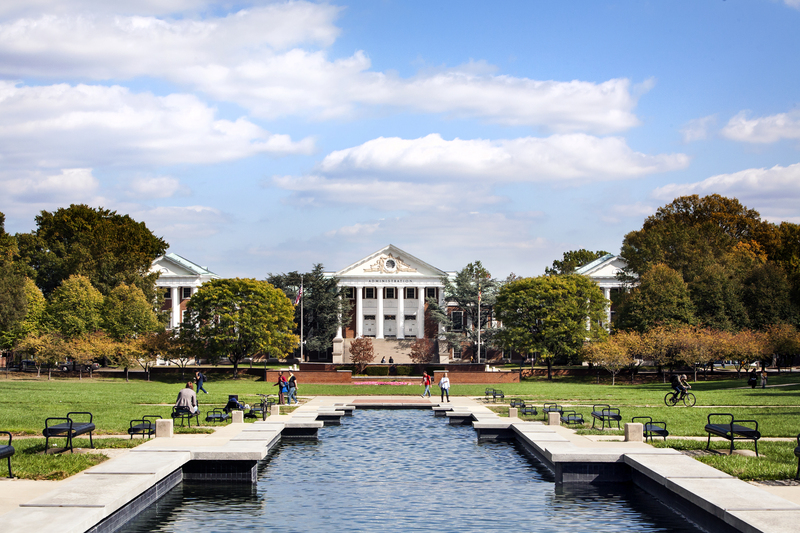 You must use a umd.edu email address to access the form. If you continue to have technical difficulties you may request a fillable application form by email: odk@umd.edu or call 301-314-8428 for assistance. Omicron Delta Kappa encourages freshmen and sophomores to strengthen their leadership skills by recognizing their achievement on campus. Students are encouraged to apply for the ODK Top Ten Freshmen and Sophomore Leader of the Year Awards. Applications must be completed by Friday, February 22, 2019 at 11:59 PM. The ODK Spring 2019 application is now available here. All applications must be submitted by 11:59pm on Friday, February 15, 2019. Good luck! At the first ODK General Body Meeting of the Spring 2019 Semester, Sigma Circle will be selecting the Col. J. Logan Schutz Omicron Delta Kappa Leader of the Year. To be considered for this honor, we ask that you submit a letter to the General Body explaining why you should be selected to represent the ODK Sigma Circle as our Leader of the Year. Letters should be 1-2 pages in length and must be submitted to odk@umd.edu by 11:59 p.m. Sunday, January 27th, 2019. In the heading of the letter, please include your name, major, and anticipated graduation date. The letter will be shared with the ODK General Body for review prior to the first General Body Meeting. At the meeting, award applicants will be asked to speak briefly on why they should be selected as the Col. J. Logan Schutz Omicron Delta Kappa Leader of the Year. If an applicant cannot attend the meeting, a current member may read a prepared statement on their behalf. Only current ODK members who are present at the General Body Meeting may vote. There will be no absentee voting. The recipient of this award will be recognized at the annual University Awards Banquet on Sunday, May 5th with a commemorative trophy and a $1,000 cash prize. This prize is supported by a generous donation from Col. J. Logan Schutz, who served as President of the Sigma Circle in 1937-38 and continued as an active member and significant supporter of the programs of the Circle until his death in 2013. The recipient will have his or her name engraved on the Wall of Honor in the Stamp Student Union. The recipient will then be nominated by the Sigma Circle for consideration as the ODK National Leader of the Year. For more information on the ODK Leader of the Year, and to view past winners, visit http://odkumd.com/awards/. Congratulations to our newly elected ODK Executive Board! We’re looking forward to seeing what they bring to ODK Sigma Circle in 2018-19. The ODK Sigma Circle will be holding elections for next year’s executive board this Tuesday, May 1 at 5:00 p.m. in the Margaret Brent Room of the Stamp Student Union. 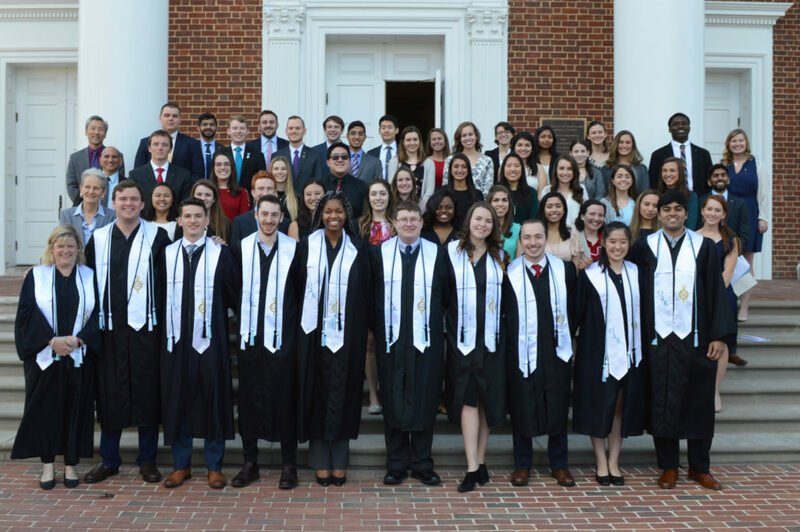 Current ODK members who are graduating in May 2019, or later, are encouraged to run for office. All members should plan on attending if they are able – you’ll be helping to select leadership for next year and to keep ODK a vital part of our campus community. Members interested in running for office should prepare a 1-2 minutes speech on why they should be selected for the position to deliver to the General Body. If they cannot be present for elections, interested candidates can have another member read a prepared statement on their behalf, or submit a video statement to odk@umd.edu to be played at elections. Voting will take place by secret ballot for each position after all candidates have made their statement. The board structure is very flat. All members of the board have input in matters pertaining to ODK. Candidates are encouraged to keep running for an office if they do not receive their first choice. Again, all officers have a leadership stake on the board. ODK receives a good deal of administrative support and advising from the University of Maryland and the Division of Student Affairs. You will have a dedicated group of professionals invested in your success. If you have any questions, please contact odk@umd.edu. Thanks to our outgoing class of Executive Officers, who have all done an outstanding job. Have you received your copy of The Leader in the mail? 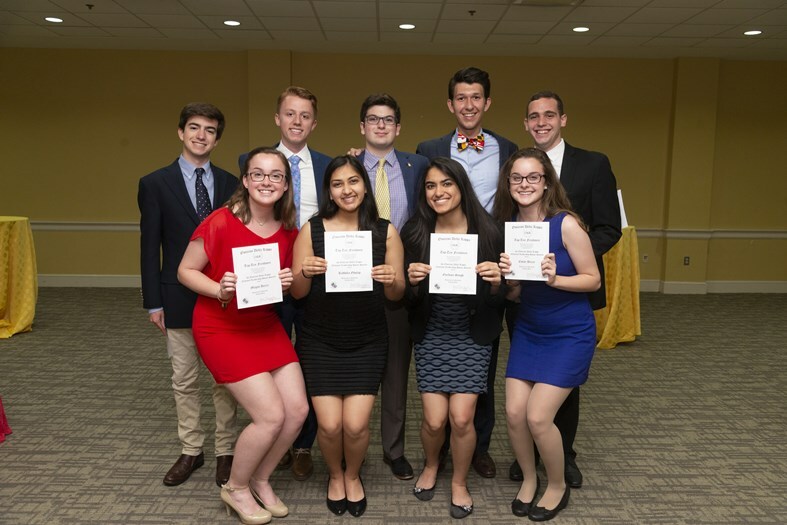 Every semester, ODK puts out a newsletter, The Leader, to keep you connected with the Circle and what’s happening at the University of Maryland. If you haven’t’ received your copy, or, if you have an idea about what to include in our next edition, drop us a line at odk@umd.edu.